Thank you for giving us this opportunity to introduce our complete line of all natural, safe & effective professional pet grooming products. We're confident that once you try our products, you'll like them... and you'll love our service. We believe that Mother nature always has the answer, if we know where to look. The healing agents we use to formulate our shampoos, conditioners, and sprays are extracted directly from flowers and plants. Our duty lies not only in protecting the groomer and each pet they work with, but also in preserving and protecting our environment. 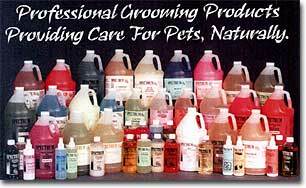 This site describes each of our grooming products, as well as our full line of environmentally friendly, industrial strength cleaning compounds. We've also included some interesting information, tips of the trade, and a convenient conversion table to make diluting our concentrates even easier. Our office hours are 7:00am to 4:00pm PST, Monday through Friday. 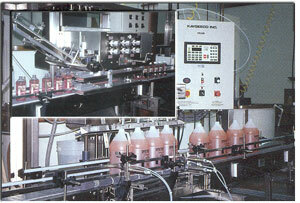 We will process your order within 24 hours and have it on the road to you. We offer UPS or FEDEX GROUND. © Copyright 2017 Spectrum Laboratories, Inc.